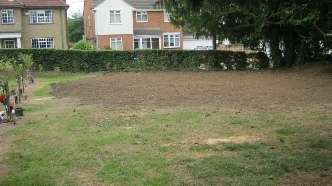 Ongar Town Cemetery was established in 1866 after the church yard at St Martin’s Church, Ongar was closed for burials. The Council delegates the running of the Cemetery to the Open Spaces committee which consist of nine councillors. The Council is keen to ensure that the needs of mourners and visitors to the cemetery are catered for as sympathetically as possible. 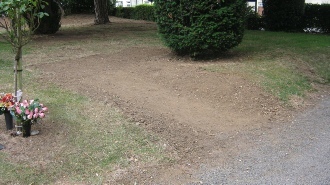 It employs one part time gardener to maintain the grounds. Burial plots and Cremated Remains plots are available. The Council regularly reviews the Rules and Regulations that govern burials and continuously improves procedures to ensure that the best standard of service is available to the bereaved. Genealogy (Family History) can be traced from our manual records. If you wish to view the cemetery burial records, prior appointments must be made. Alternatively a member of staff can research your request but here may be a charge for this service. Please contact the Burial Clerk for further information. Renewal of Exclusive Rights of Burial: From 1962 Deeds of Grant for Exclusive Rights of Burial were issued for 50 years. Deeds that have expired are renewable if the family wishes. Please contact the Burial Clerk for further information. 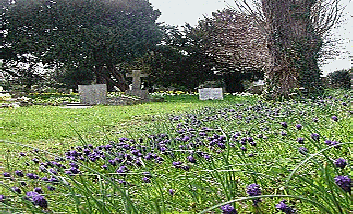 Ongar Town Council is a member of the ‘Institute of Cemetery and Crematorium Management’ (ICCM). Opening hours are between 9am and sunset. Memorials. Click to download the Memorial Application Form. All memorials are erected in accordance with the current rules and regulations and fees and charges.